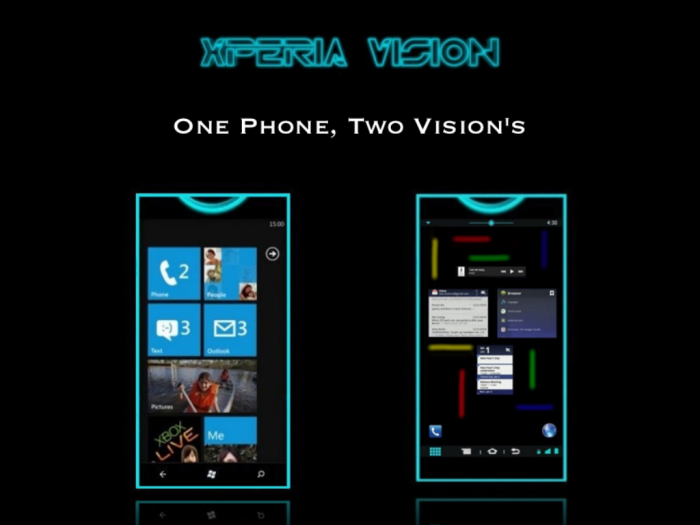 Sony Ericsson Xperia Vision is a concept created by Shaik Imaduddin, a device that runs both Windows Phone and Android 4.0 Ice Cream Sandwich. 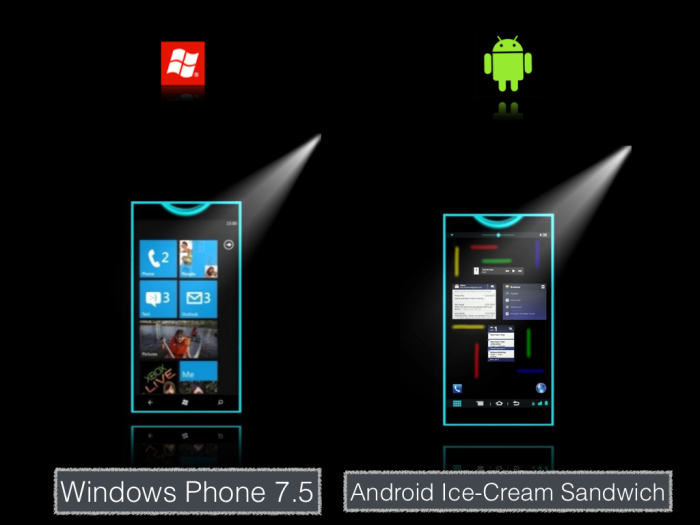 The interface of Android ICS is a custom one, as shown in the images below. 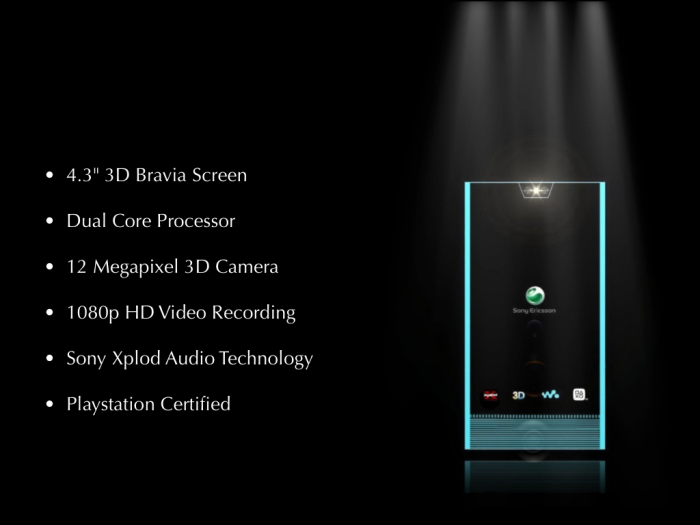 This is a PlayStation certified phone, a 4.3 inch 3D Bravia screen and a dual core processor. Sony Xperia Vision also has a 12 megapixel 3D camera with 1080p HD video recording and Sony Xplod audio technology. There’s also a Walkman audio player on board, as you can see and I bet that the 3D graphics look stunning in this case, unlike the LG Optimus 3D and HTC EVO 3D. I wish Samsung would make a move on the 3D market, but they don’t seem interested, so Sony could grab the opportunity. I have yet to understand the deal with the semicircle at the top of the phone, but it may just be a design gimmick, like the ring on the Xperia Ray.